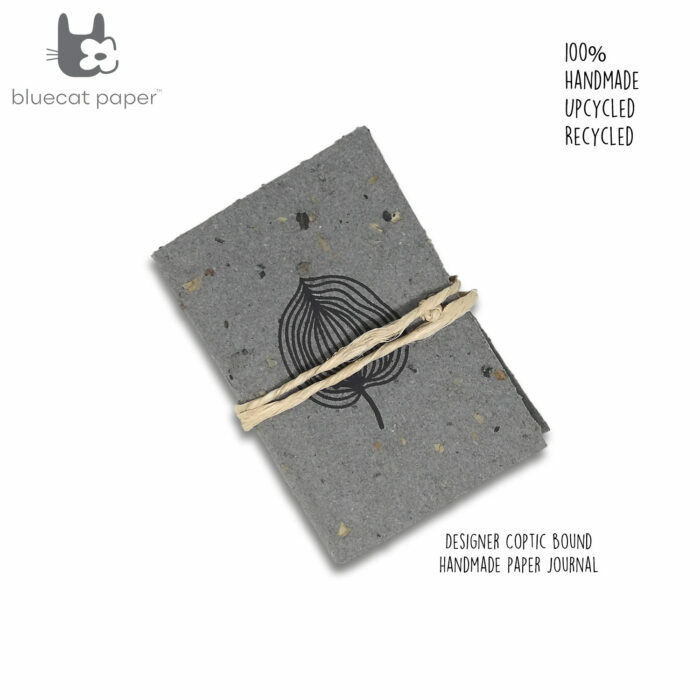 A wraparound grey coffee husk paper jacket with an attractive binding option. Coptic bind book, hemp papers, grey coffee husk paper jacket, black spear leaf print. Grey coffee husk, black spear leaf print. Handmade papers, Hemp papers, white linen wax thread and banana fiber cord. 17 x 11 cm (H x L), 80 sheets.